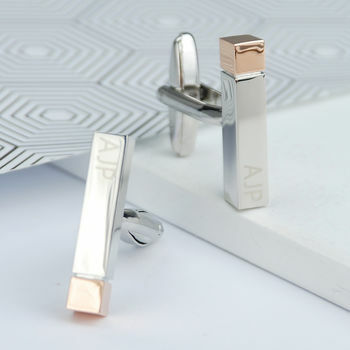 Stunning Personalised Initial Bar Cufflinks in a lovely polished silver finish with rose gold tipped ends. 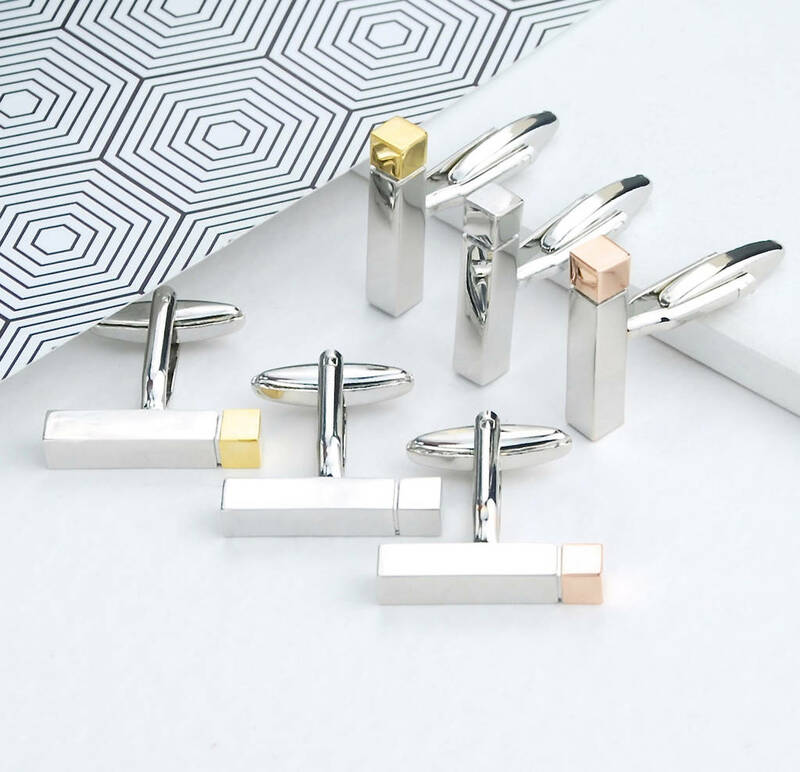 Looking for a unique and tasteful gift for a man in your life? 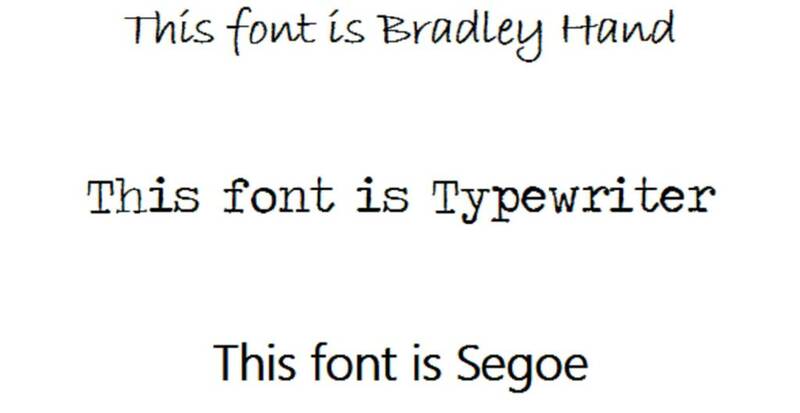 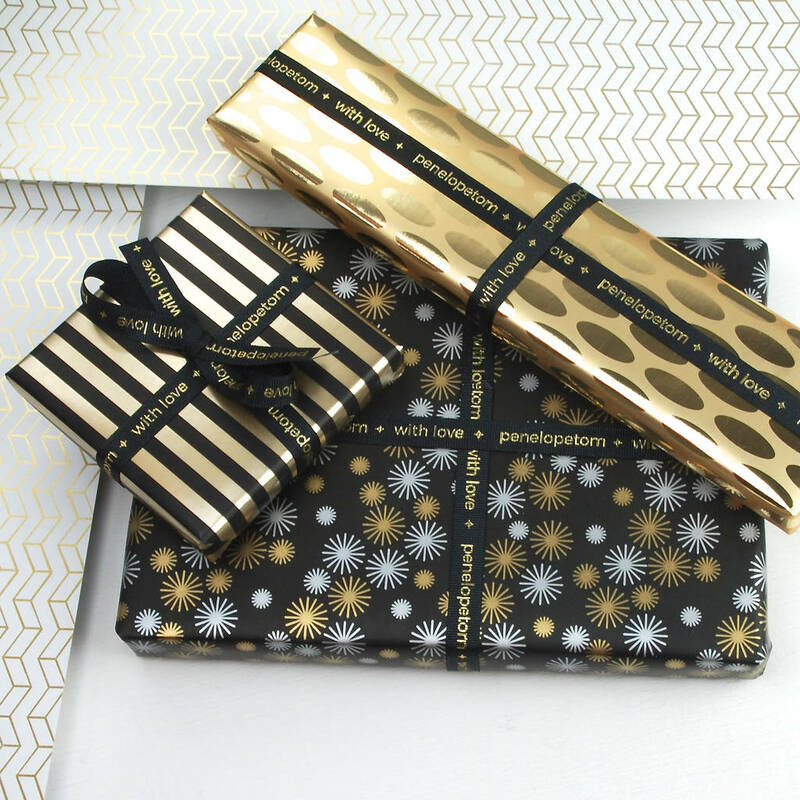 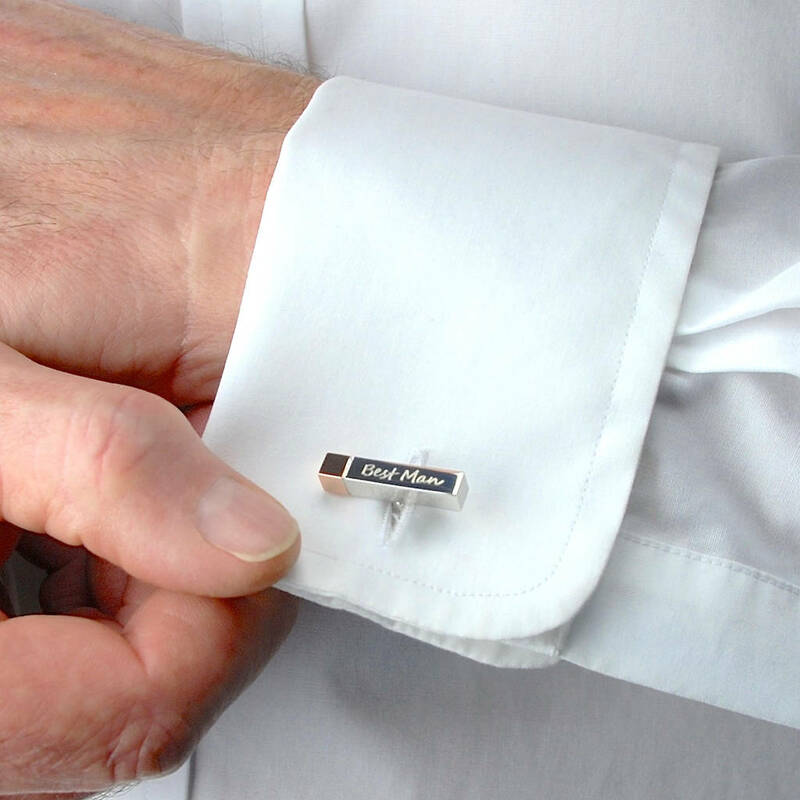 A perfect gift for groom, usher, father of the bride, a landmark birthday or event. 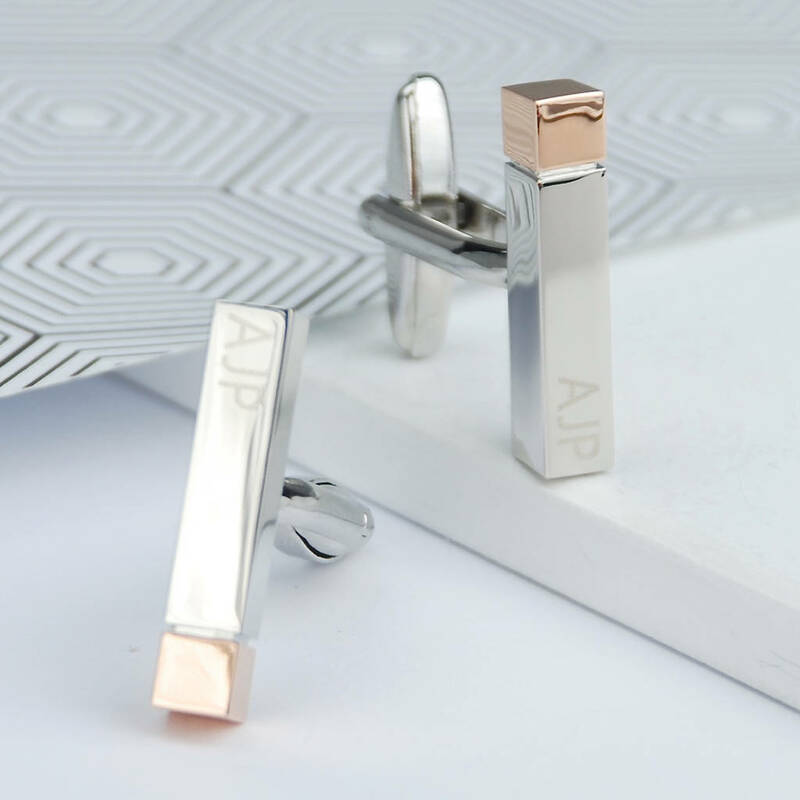 These personalised initial cufflinks in silver with rose gold detail are truly beautiful in their simplicity and will be certain to be the "go to" cufflinks on any special day. 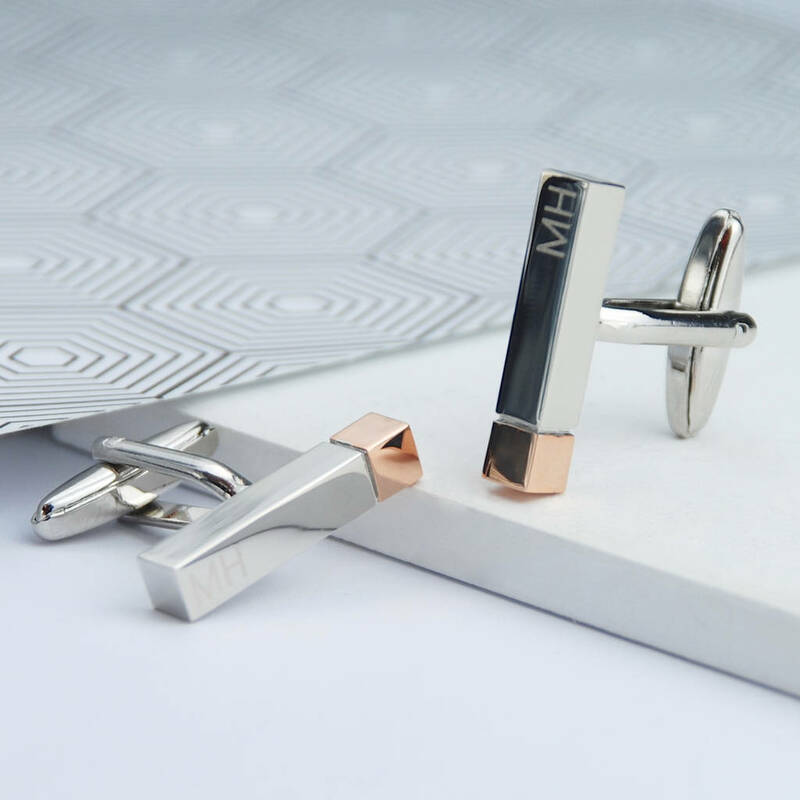 Looking especially wonderful against a dark suit, these alphabet initial cufflinks offer a subtle approach to personalisation for the more discerning gent. 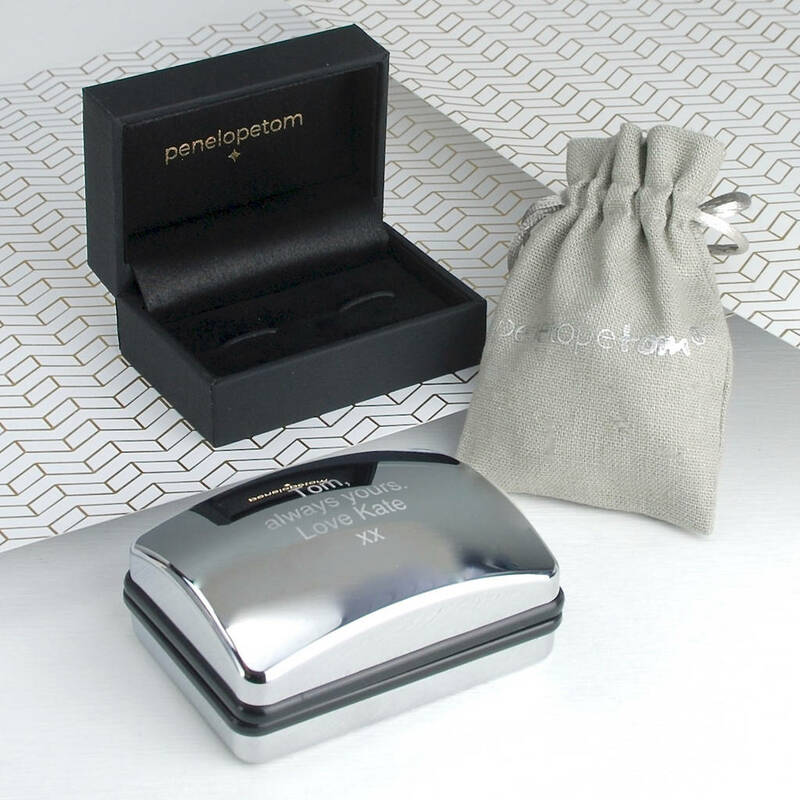 The initial cufflinks are presented beautifully wrapped in crisp white tissue paper in a contemporary Penelopetom linen travel pouch or you can chose to upgrade to a choice of gift boxes. 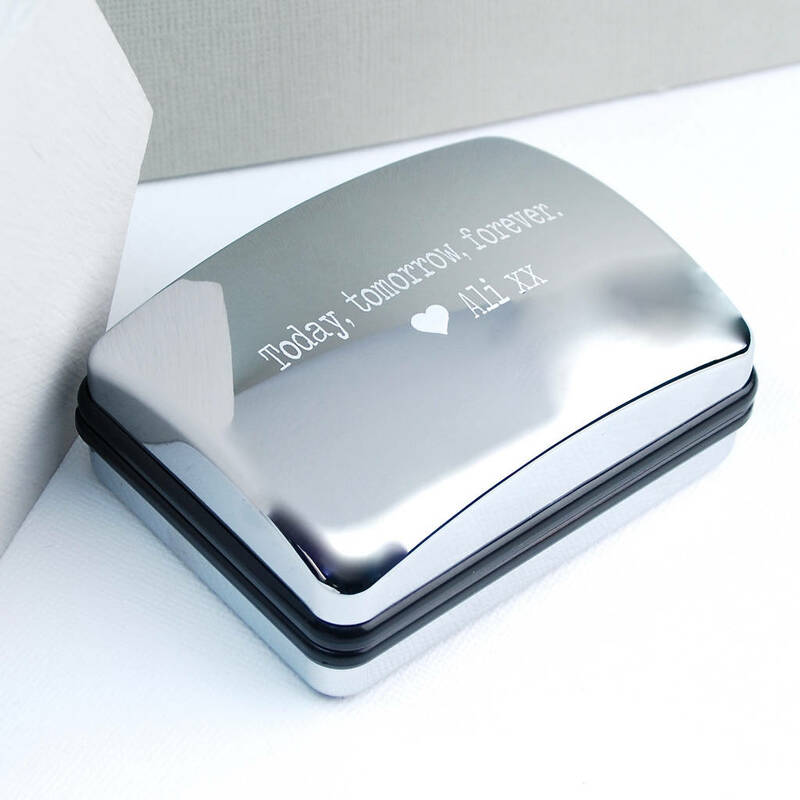 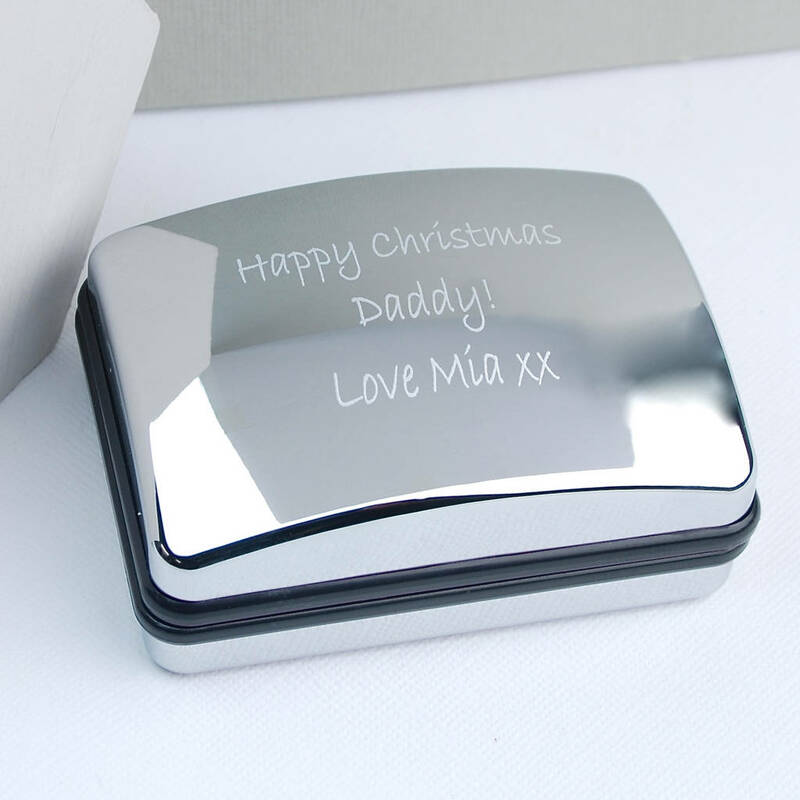 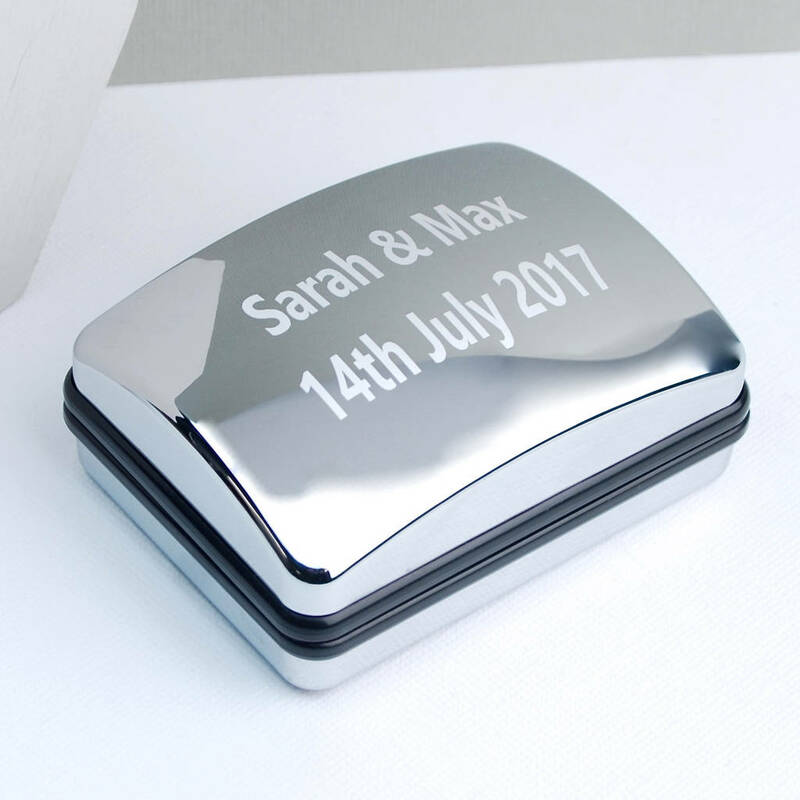 If a chromed box is chosen, this can be also personalised with your message beautifully engraved on the lid in a choice of fonts to make an extra special gift.